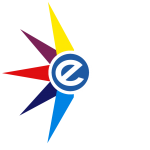 The Estar Web Design portfolio demonstrates a vast selection of small to medium business enterprise websites that we have designed in the last 10 years. We have built websites for companies worldwide in countries such as Great Britain, Germany and even China and boast a proven track record with contactable references from our existing clientele. Full stack Online Shop Web Design solution that includes worldwide distribution of their products, with 2 different warehouses, one in South Africa and the other in Romania. This website uses geolocation to determine shipping solutions, currency and stock management. The Spirit Cafe located in Constantia Villiage and Dunkley square required a clean informative Word Press website that similair to their sister website YogaSpirit. This website provides menu information for the restaurant as well as automated live reviews, as well as integrated instagram feeds. Complete website rebuild, we gave FHA a complete facelift. We built a custom plugin that that can be managed by FHA to calculate Bont And Transfer cost based on a given formula. They are able to increase costs and variables in this plugin themeselves and the function is specifically for estate agents to send costings to their prospective clients. AbabaSA nurture future parents through Egg Donation cycles in South Africa, at specialist Clinics located countywide. The Frogsquad is the leading marine film coordination & under water support company in South Africa. Web design of this site required a Joomla framework coupled with a custom php website to store there massive selection of watercraft for film rental and maring support agency. LELC was designed for a well know South African social figure, the main function of the website is to serve as a blog that automatically feeds to her social networks. We also designed the logo. Foodstuffsa is ranked as one of the top food news and information portals. This website relies heavily on banner advertising income and is geared with tracking systems. This website averages about 16000 unique visitors in a month. Watts Plumbing undertake all aspect of plumbing, large and small, and regularly work hand in hand with architects, building contractors, engineers, project managers and interior designers. MEDO stands for the Meta Economic Development Organisation and are involved with Economic Development of all spheres in South Africa. Art Curator Gallery, deals in South African Investment Art, and specializes in the selling & purchasing of South African Old Master Paintings. This website consist of a listing of all the artists and paintings they promote. Another Stuff SA website, this time for selling very specific travel books related to the events industry. ProMedCare provides professional medical home care, we developed this WordPress website and continue to do maintenance on a monthly basis for them. Rated many times as the top steakhouse in Cape Town, the Nelsons Eye restaurant website matches the warmth you get when dining there. We recently converted the old Joomla website to WordPress. Windoor is massive online supplier of all types of doors and window frames for the construction sector. This website boasts with more than 9000 purchasable products from their very large online shop. We were employed to do a Joomla 2.5 to Joomla 3 migration as well as all the extensions related to this website. We continued providing support and maintenance until recently when they had an ownership change. IQ ECA Solutions is a Paarl based Electro Chemical and Activation manufacturer, this website required a specific custom look and feel and we developed the site in partnership with IQ ECA’s graphic designer. This highly responsive and very simple look and feel creates a high quality and valuable website resource for this company. Found Travel is UK based route planner and destination website for 4-5 star accommodations in Southern Africa and Portugal. This fully responsive website stores accommodation listings and google maps to each location as well as travel information. IQ Green Solutions is Joomla website and was built with the help of very accomplished graphic designer. Working hand in hand we combined our skills for a very specific brief requirement. Sawasdee Thai spa is another example of how some developers really take advantage of unknowing clients, they had a shocking developer holding them ransom to a poorly designed excuse of a website. 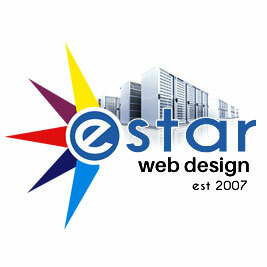 Estar jumped in and with help from the registrar gave them back authority of their domain and built them a fully responsive website that is now at the 1st page of Googles search result for their respective search terms within months of completion, not only for their area but also for the whole of Cape Town. Have a look at how we made them rank at the top here to see for yourself! This studio located in the heart of Cape Town uses Estar to maintain and keep their Content Management framework updated and up to scratch. We designed this website in 2013 and have an excellent working arrangement. Governance SA is a NPO web development initiative by Inyathelo. It is a simple yet very effective website that describes the various codes of their governance. This Cape Town based organization utilizes Estar Web Design for maintenance and website support as well as consultation for best practices for their website presence on the internet. Event Stuff is a Joomla banner advertising site for a client based in Johannesburg. This website was designed to serve as a platform for events companies to advertise their companies as well as a news portal for up coming events. This website for a local construction company allow Mose Construction to display their latest projects and write about building developments in their blog. The main function of this website is to provide a loan application form for this financial service provider.